Cloud access security brokers, or CASBs, are either in-house network gateways or security-as-a-service cloud offerings that inspect network traffic destined for the cloud. 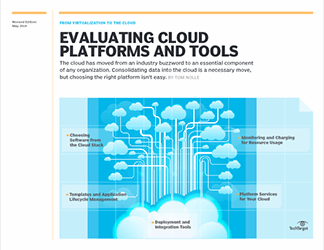 This guide equips security pros with the knowledge they need to buy the best CASB platform or service for their company's needs, technological requirements and budget. CASBs work by examining a network's traffic and determining if sensitive data is being sent to the cloud. 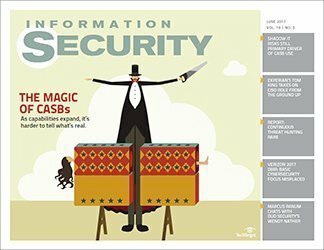 CASB technology then applies policies and other security controls to ensure that sensitive data is safe. 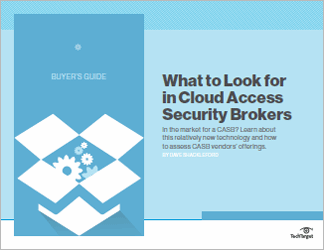 This Buyer's Guide on CASB offers an overview of the emerging technology, explains how it works and highlights key features. It includes detailed explanations of the features a CASB should have, but it also has guidelines on some nice-to-have features. Readers will come away with a complete overview of the currently available technology. In short, they will be equipped to launch their IT evaluation process and select the best CASB for their companies.